Peter Jones, Deborah Meaden, Touker Suleyman, Jenny Campbell and Tej Lalvani weren’t afraid to get the entrepreneurs sweating with some fiery questioning about their business proposals. The first entrepreneur to enter the Den was 29-year-old Sam Piri, founder of the ITAE Group. If - like me - you don’t have a strong stomach, you may have been hiding behind your hands as Sam demonstrated his business venture. ITAE events deliver anatomy and physiology training with synthetic bodies and animal specimens – not for the faint hearted! Example open surgery demonstration in the Den. Sam, who was seeking £90,000 investment in return for 5% of the business, stated that he had trade marked ‘VIVIT’. Sam’s company offers clients ‘The VIVIT Experience’, live human body dissection (yep, you read that right). After searching our trade mark database, I discovered that Sam had trade marked UK00003254316 and UK00003284763. Branding is incredibly important to any business, especially those in the events industry to stand out from competitors. By registering his logos, Sam has helped protect his brand against people who might want to copy his creative – if a little gruesome – business assets. 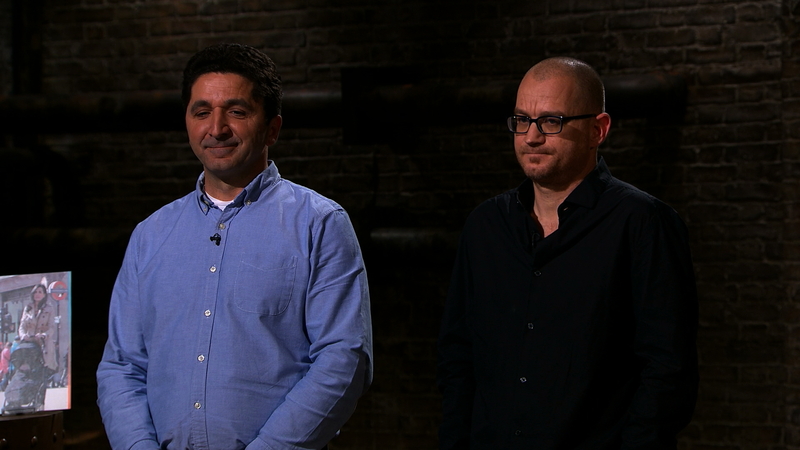 The Dragons’ claws were out when entrepreneurs Yosi Romano and Ziv Leinwand created a stir in the Den. The pair had invented Brizi, a device for prams and strollers to protect babies and young children from air pollution. They were seeking £100,000 for 5% of the company. Tej started to quiz the entrepreneurs on whether they had any interest from retailers. There was tension in the air when Ziv refused to disclose the retailer’s name, stating it was confidential. It’s likely that Yosi and Ziv signed a non-disclosure agreement (NDA), otherwise known as a confidentiality agreement. Usually, NDAs are created when a business owner is speaking to potential partners such as investors, manufacturers and stockists. You may also have to tell people about your idea to get advice. NDAs are particularly important when applying for patent protection for a brand-new invention. If you need the help of others to create your product, it’s advised you get them to sign an NDA or it could hinder your chances of obtaining patent protection. Read our guidance on non-disclosure agreements here. Ziv’s tight lip and blithe attitude raised the hackles of the Dragons, but most saw a great investment opportunity. The entrepreneurs walked away smiling when Touker agreed to invest £125,000 with a 25% stake in the business, reducing to 20% once repaid. 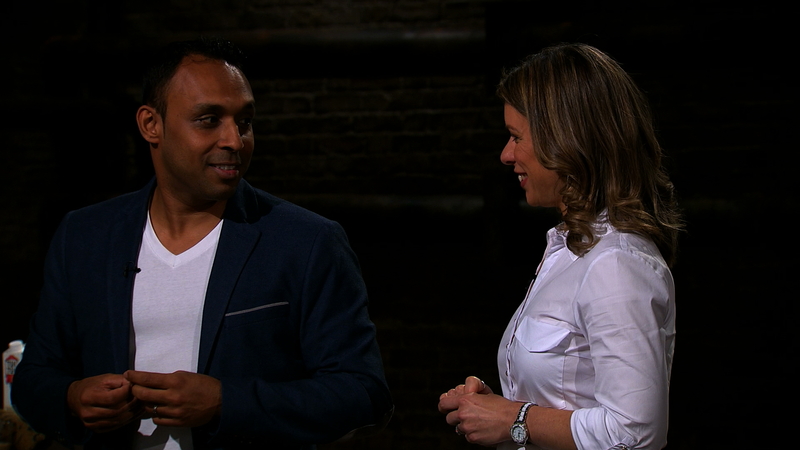 Rupesh Thomas and his wife Alex, who own iced tea company Tuk Tuk Chai, also found themselves in hot water during the Dragons’ grilling. The couple were pressed by Deborah to disclose the cost price of their product to Sainsbury’s, who refused to consider striking a deal until she knew the figure. The entrepreneurs were torn after signing a contract with the supermarket retailer, but desperately needed the £100,000 investment. Rupesh worried that disclosing the cost price may result in Sainsbury’s dropping their business deal. It’s a good idea to get an IP attorney or solicitor to advise on confidentiality and draw up an appropriate NDA for you to use. A contract with clear agreements in place can give business owners peace of mind that both parties know what they can and can’t talk about in the public domain. Rupesh and Alex took a gamble and revealed the figure. I was on the edge of my seat as the company profit loss led four of the Dragons to drop out. But it was a happy ending when Peter saw the potential in their delicious brew and agreed to invest for a third of the company. Don’t find yourself biting your nails over whether you can disclose information. Seeking the right advice is the first step in making the best decision for your invention or business. Check out our guidance on seeking intellectual property advice. Now, time to make myself a cuppa! Chai tea anyone? Many 'experts' and even IP Offices recommend Confidentiality / Non Disclosure Agreements but they can be difficult to prove breach off - far, far better to have prior filed an IP ? / Patent Application BEFORE DISCLOSURE - then a Confidentiality Agreement may ? help and wont hurt. Peter could do with a shave couldn't he?